For the past eight years, Bill Hodgson and volunteers have been restoring the Tamahere Reserve, on Tauwhare Rd, reports the Waikato Times. The group, known as the Tamahere-Mangaone Restoration Trust, have spent nearly 8000 volunteer hours clearing the site of trash and invasive species, planting natives, and constructing 1.5km of tracks and boardwalks. Since its inception, the group has wanted to cut down about 600 mature pine trees across the council-owned reserve and replace them with native trees. 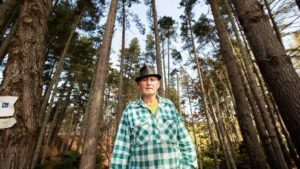 “We’ve put forward numerous proposals to have the trees removed and milled and have had interest from five logging contractors,” Hodgson said. Long-tailed bats are regarded as a nationally critical vulnerable species. The Waikato District Council closed the Tamahere Reserve in late March, saying several pines pose a risk to the public. The reserve is expected to stay closed until the end of April while the council makes the trees safe. The work will be done in line with conditions set down by DOC. “Thousands of dollars and heaps of volunteer hours have gone into turning the Tamahere Reserve into a significant asset for the community but we’re about to walk away from it,” Hodgson said. In September, 2017, DOC declined an application by the council to fell pine trees in the reserve, saying it could not permit the council to “kill or destroy the habitat of long-tailed bats”. 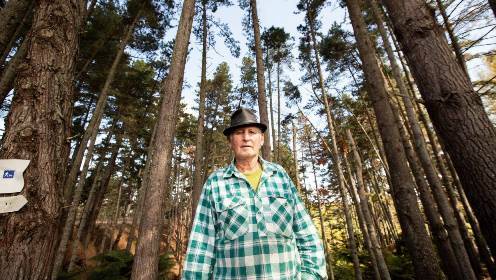 “These pines are at the end of their lives, they’re going to fall over, but DOC won’t address that,” Hodgson said. Hodgson said a former top manager at DOC had informed him that health and safety considerations override any obligations to safeguard the bats’ habitat – a claim disputed by council’s open spaces team leader Duncan MacDougall. MacDougall said an arborist report completed in mid-January indicates groups of trees pose a safety risk but the council initially opted to keep the reserve open. However, the site was closed following a request from Tamahere School to visit the reserve. “With Tamahere School wanting to go into the reserve, it changed the risk profile,” MacDougall said. 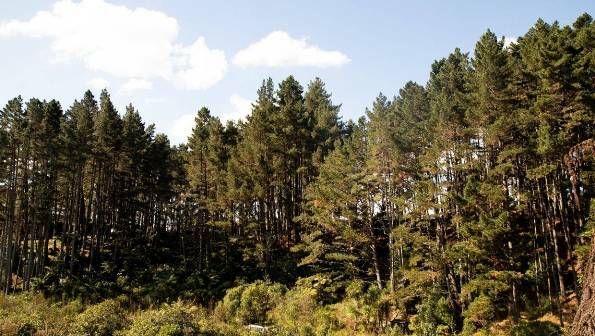 About six groups of trees bordering Tauwhare Road will be made safe. Council marketing and communication manager Jacob Quinn said Hodgson and other volunteers had done an amazing job restoring the reserve. However, the group’s argument bats don’t live in the reserve is a moot point. “It’s beside the point whether or not bats roost in the reserve. It’s a significant area of activity and it’s consistent over time, so that what’s DOC is looking for. It’s proven to be a bat habitat,” Quinn said. A suggestion the pine trees could be removed at no cost to ratepayers is incorrect due the fact the reserve is regarded as a bat habitat, he said. DOC Waikato operations manager Ray Scrimgeour​ said numerous bat surveys indicate the reserve and the surrounding Tamahere district are an important habitat for long-tailed bats. Bats aren’t sedentary creatures and don’t stay in one place. At different times, there will be no bats in the Tamahere Reserve. An important feature of the Tamahere Reserve are its dead or dying trees which have holes and crevices bats like to roost in. “In a civilised, settled landscape, it’s big, old, ugly trees that people often want to cut down but they’re probably the very best habitat to live in for bats,” he said.